France smoothly dominated Belgium on Tuesday in St Petersburg for a commanding 1-0 win to advance to Sunday’s final match of the 2018 FIFA World Cup in Russia. It was a match of high expectations, judging from both sides’ run-up to the semi-finals and the quality of their players. But the 64,286 crowd did not have much to cheer once France took charge, as Belgium’s much-touted high-scoring forwardline were kept in check. 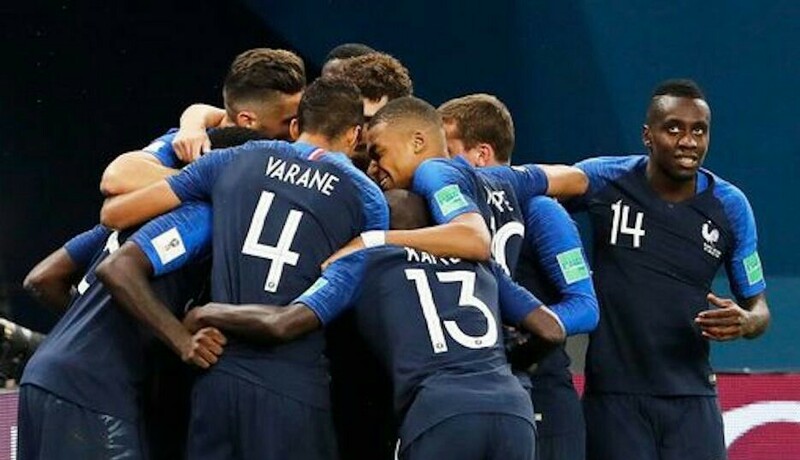 And it was even a sign of the fact that the France backline had not much to worry about when Samuel Umtiti outjumped Marouane Fellaini in the 51stminute to score. The game’s opening moments were unexpectedly dull, with both sides showing some cautiousness, limiting the goalkeepers to just a few loose balls to pick up. But then, solid defending by Vincent Kompany, Toby Alderweireld and Jan Vertonghen for Belgium, and France’s Benjamin Pavard, Raphael Varane, Umtiti and Lucas Hernandez also helped to keep the game goalless. However, the French’s adventurous efforts upfront yielded some results when Olivier Giroud’s shot on the turn was blocked for a corner kick by Kompany, and Umtiti scored from Antoine Griezmann’s effort. With Ngolo Kante, Paul Pogba, Blaise Matuidi and Kylian Mbappe holding the advantage ikn the middle, Belgium had no chance to initiate good offensive moves. Dries Mertens’ entry in the 60th minute did bolstered the Belgian attack, with Fellaini’s header missing target by inches in the 65th minute, but by then the game was already won. It only wore on to a dull end, with both sides chalking up yellow cards, three for Belgium and two for France who even looked to be doubling their lead. France will now head to Moscow to meet on Sunday the winners of Wednesday’s other semi-final pairing, between England and Croatia. Belgium on the other hand will stay back in St Petersburg to face Wednesday’s match losers in the third-place match on Saturday.